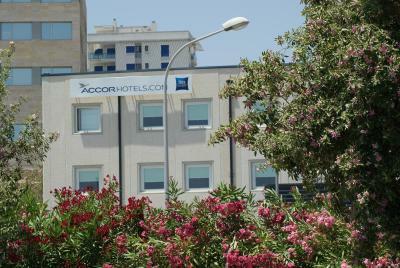 The hotel is located midway between the airport and Alicante and there is a regular bus service to both. Excellent value and good location for the airport. The parking is free and there is a restaurant. 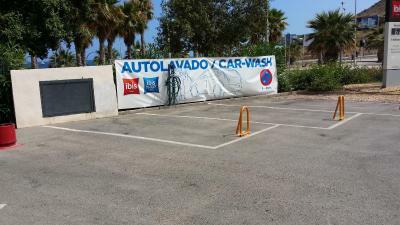 Idea for when you have a flight in or out of Alicante airport. Right by the beach. Parking if needed. Reception will happily book your taxi. 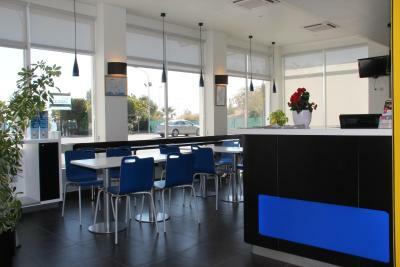 Restaurant on site. It was clean, with good car park. The staff was helpful and a great breakfast. It was reasonable close access to the beaches. Quick access to airport. Huge secure parking. Dinner in the Ibis Hotel was great. Staff was really helpful. Close to Airport for early morning flight.Bus service available hourly after 22:00-07:00 @3:20am etc,3.85euro pp. Taxi 16.50euro approx. Front desk will book it,(on time),very basic room in budget hotel,could have used plastic cups. Good WiFi connection. 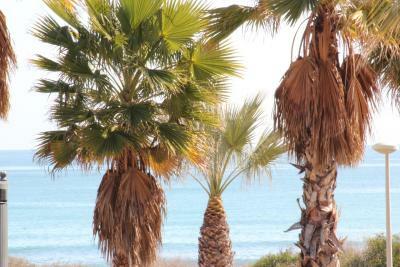 Very close to Alicante and to the airport. 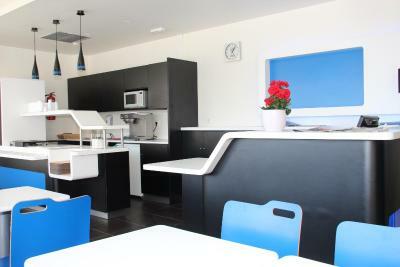 Rooms have a chic minimalist design and feature a flat-screen TV, and a desk. They have a private bathroom with a shower. 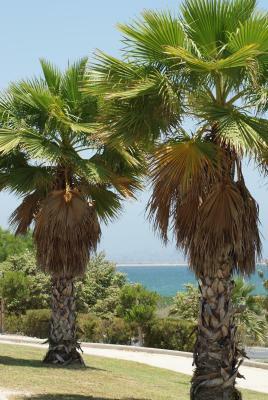 Some offer Mediterranean Sea views. 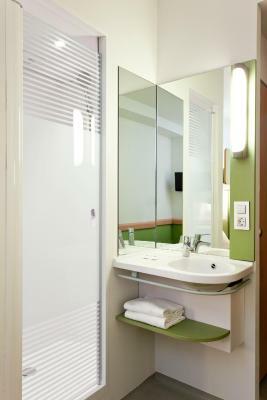 Rooms have either air conditioning or heating, depending on the season. 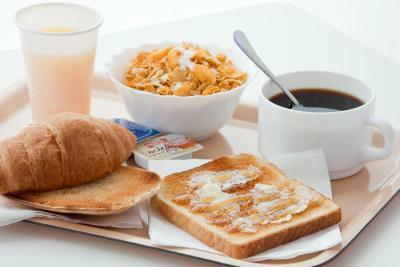 For a small extra charge, the property offers an all-you-can-eat buffet breakfast. 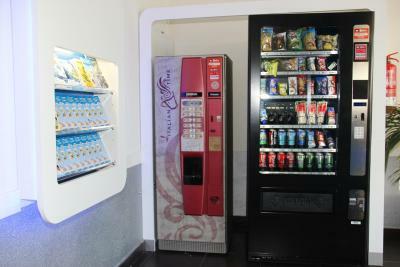 There are vending machines for drinks and snacks. 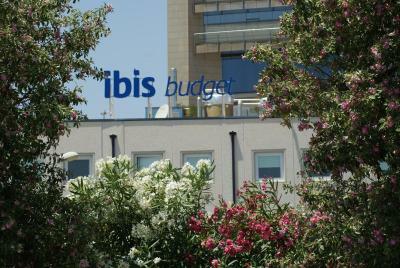 When would you like to stay at ibis budget Alicante? 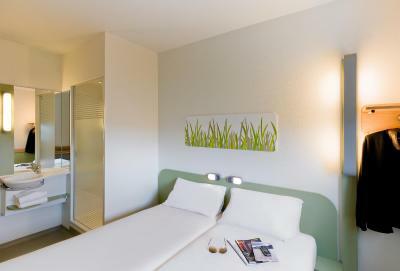 Rooms have a chic minimalist design and feature a flat-screen TV and a desk. 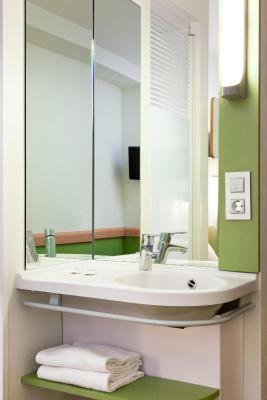 They also have heating and a private bathroom with a shower. Rooms have either air conditioning or heating, depending on the season. 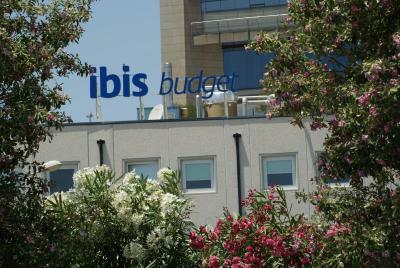 House Rules ibis budget Alicante takes special requests – add in the next step! 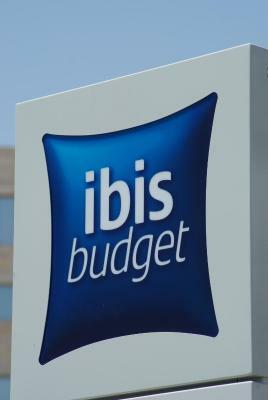 ibis budget Alicante accepts these cards and reserves the right to temporarily hold an amount prior to arrival. In July and August reception is open daily from 07:00 - 11:00 and 17:00 - 23:00. 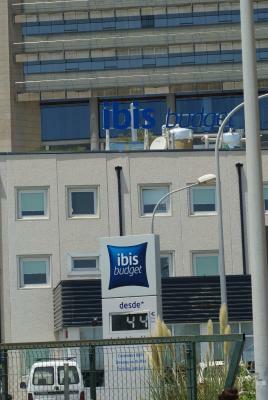 Guests arriving after 23:00 can check in at the Ibis Hotel, located next door. The room is in desperate need of a serious revamping. Blanket had seen better days. 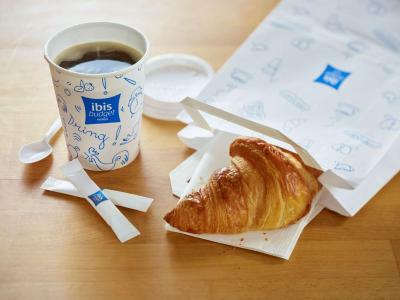 I would strongly suggest/advice/recommend to IBIS not to have two class of guests when it comes to breakfast. 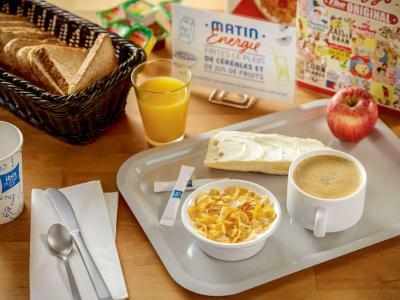 I found it particularly humiliating when arriving at the breakfast area in the morning and being told that I was restricted to a lesser quality breakfast, i.e. I was told that I could only help myself from a table with much restricted and lesser quality breakfast. I know and realize that you get what you pay for. 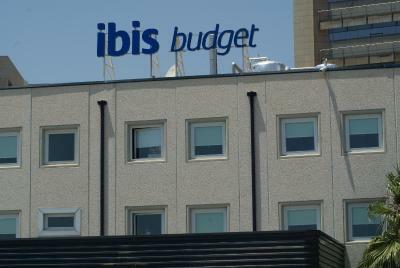 However, I did not pay to be humiliated and insulted by IBIS. 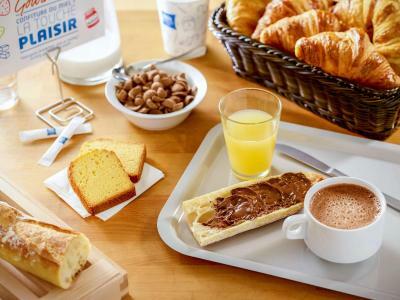 if you want to have two class of guest for breakfast, I suggest that you have a totally separate area.. Make me pay EUR one or two more but don't treat me as a second class guest. I was most disappointed by the manner I was treated. Thank you. Food, directions into the budget part of the hotel, unclear where the lift was, or if there was one! Cocroche in the room, bad smell is coming form shower. 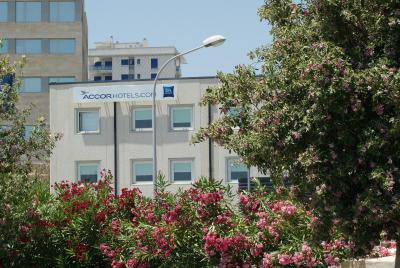 Absolute budget hotel, but: Free parking, free wifi, 5 minute drive from Alicante city center, clean rooms, nice bed, good shower. 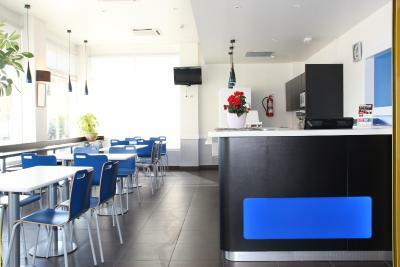 And best: The Ibis restaurant offers above average quality food for a more than decent price with very friendly service! This wasn't our first time and will not be the last. Knew it was a budget. Breakfast bit did not open. Room tiny and no proper bathroom. 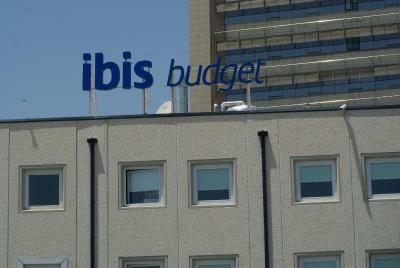 Have stayed in the Ibis next door several times but will not stay in the budget again. 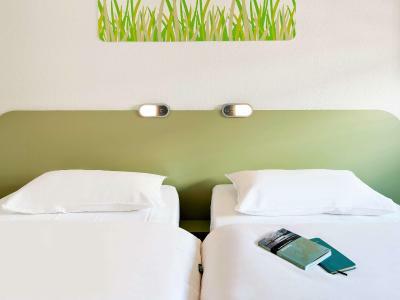 It is worth the extra to stay in the Ibis. Whilst it was convenient for the airport it did take us over an hour to get into town on public transport. Not really anything in the way of shops/ cafes near by. Bed comfy. Room clean. Shower hot & powerful. 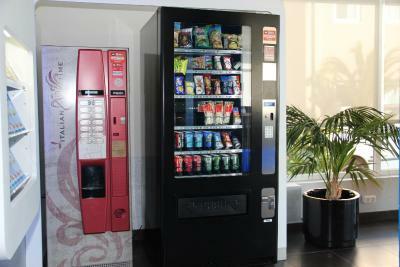 It`s a budget hotel, we used it for an overnight stop. The Hotel was spotless, staff were superb. Food, this was not 5 star dinning but I could not complain, the food was good and great value. I do this trip twice a year and will certainly book again. Value for whole package, SUPERB. Shower head did not work well. Sink tap was just a dribble. Constant noise from the toilet fan. Window blind did not totally cut out light. Being told I could not have fresh squeezed orange juice (even though I paid for breakfast) the juice from the basic dispenser was awful. Security gate control. Bed was ok.